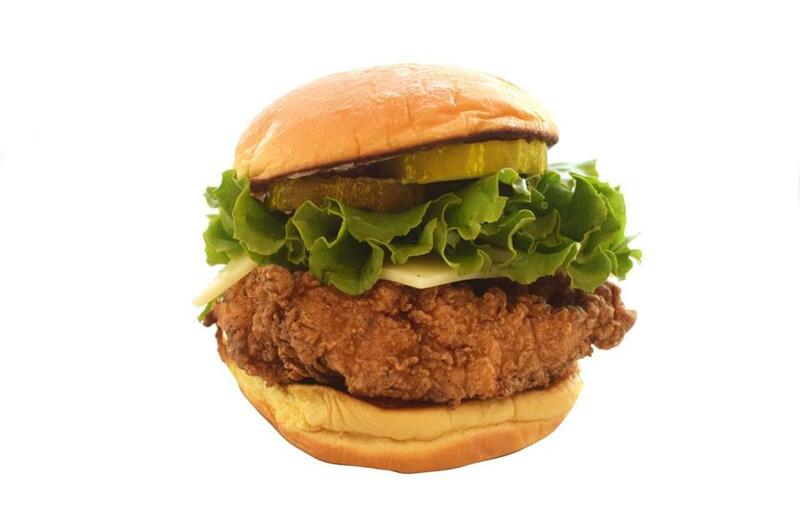 WuBurger’s chicken sandwich is the B-side that makes the band. Two juicy pieces of poultry fried and covered in a structurally robust batter form the core of a brilliant sandwich ($12), delicious enough to induce an inhaling of multiple samples. The buns are the same as those used for the burgers at the Inman Square restaurant (there’s another branch in Woburn, too). They are sweet and soft, and after the sandwich is carried to a nearby park for an impromptu lunch, they are still not soggy — a sine qua non of a good sandwich. (I daresay the buns pair even better with the chicken than the beef patties.) The crunchiness of the batter mellowed by a slice of melty cheese encouraged by a little sour tang of pickle: It is a thing of beauty. The chicken is tender, and every bite offers a balance of flavors. Take a bite, lick your fingers, and bite some more. Before you know it, the sandwich has disappeared and you start noticing that the waffle fries ain’t half-bad either. 1128 Cambridge St., Inman Square, Cambridge, 617-945-1703, www.wuburger.com. Dien Ho can be reached at dienho@gmail.com.